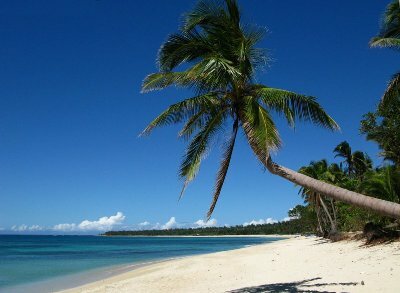 Enjoy the white sands and warm waters of the South China Sea and have an economical holiday at Asia’s best beach. Feel the sand and warm water between your toes. The drowsy rural coastal community of Pagudpud is situated on the most Northern point of Luzon, in the Philippines and is about 50 miles up the coast from Laoag City, the capital of Ilocos Norte province. The district is situated to the north of Bangui and its now celebrated windmills and inland lies the monumental Cordillera Mountain Range, the largest mountain range in the Philippines. over the other side of the mountain range lies the province of Cagayan. To the North and the West are the warm waters of the South China Sea. Many international tourists are now becoming enormously interested and lately one of Australia's most respected and influential foreign travel writers graded Saud Beach as Number 1 on the list of the Top Ten best Asian Beaches. find Pagudpud before the tourists find out. The local vicinity comprises really magnificent and almost deserted beaches, spectacular waterfalls, sensational scenic vistas, and a real genuine get away from the rat race feeling. It is no wonder that so many movies and television commercials are filmed nearby. consider a beach without too many tourists, no noisy jet skis, no strip of bars and not even a McDonalds restaurant! Pagudpud is located amongst verdant emerald mountains, productive valleys, rolling hills and flat coastal plains.